Note I: Candidates who have appeared at an examination the passing of which would render them educationally qualified for the Commission's examination but have not been informed of the results as also the candidates who intend to appear at such a qualifying examination will also be eligible for admission to the Preliminary Examination. All candidates who are declared qualified by the Commission for taking the Indian Forest Service (Main) Examination will be required to produce proof of passing the requisite examination with their application for the Main Examination failing which such candidates will not be admitted to the Indian Forest Service Main Examination. The applications for the Main Examination will be called sometime in the month of July/August, 2018 through on-line mode. NOTE II: In addition, the candidates who possess qualification equivalent to those specified in Rule 7 will be required to produce a certificate from University incorporated by an Act of the Central or State Legislature in India or other educational institutions established by an Act of the Parliament or declared to be deemed as a University under Section 3 of the University Grants Commission Act, 1956 clarifying that the degree is at par with the Bachelor's degree specified in Rule 7 along with their application for the Main Examination failing which such candidate will not be admitted to the Main Examination. 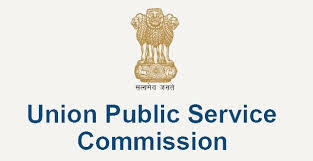 NOTE III: In exceptional cases the Union Public Service Commission may treat a candidate who has not any of the foregoing qualifications as a qualified candidate provided that he/she has passed examination conducted by the other Institutions, the standard of which in the opinion of the Commission justifies his/her admission to the examination. The Indian Forest Service Examination will consist of two successive stages. Candidates applying (excepting Female/SC/ST/PH candidates who are exempted from payment of fee) for Civil Services (Preliminary) Examination are required to pay a fee of Rs.100/- (Rupees One Hundred only) either by depositing the money in any Branch of SBI by cash, or by using net banking facility of State Bank of India or by using Visa/Master/RuPay Credit/Debit card.